Dr Leisa Armstrong is Senior Lecturer in Computer Science Discipline within the School of Science. Dr Armstrong is the Leader of the eAgriculture Research Group and Member of Centre for Environmental Management and Centre for Innovative Practice at ECU. She has expertise in both Computer science, agriculture and environmental sciences and brings a multidisciplinary approach to her research. PhD (Agriculture Science), The University of Queensland (1994). 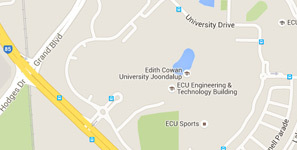 Master of Science (Software Engineering), Edith Cowan University, 2002. Grad Certificate in Tertiary Teaching, Edith Cowan University. Decision Support Systems, Artificial Intelligence (Machine Learning, Data mining etc), Image Processing, Digital Agriculture, Geospatial technologies, and eLearning technologies. Crop Physiology/ Agronomy, effects of environmental stress on crop production, watershed catchments, soil seed banks and weed physiology. I have been working in an academic position in Computer Science discipline since 2002 working Computer science related research in the area of Agriculture, Medical, Education and Tourism based industries. My focus is on the application of these technologies to solve real world problems. Before joining ECU, I worked as analyst programmer on a number of projects for WA state government before joining Edith Cowan University. I also have previously owned a computer software consultancy company before joining Edith Cowan University. I have worked for a number of years as agricultural research scientist with the Western Australian Government on a number of Grain industry related projects. I also have worked at a number of universities in Western Australia and Queensland as a lecturer and tutor in both computing, agricultural and biological sciences. This area of research is a multidisciplinary approach that focuses on the application of digital methods and computing technologies to improve the sustainability and productivity of agriculture and environmental sector. Application of image processing and automation techniques for medical, agricultural and environmental problems. Plant Image Processing using automated approaches. This area applies Geospatial systems to interrogate satellite data to see changes in land and water resources and make predictions about drought and other climatic change. Use of satellite imagery using NDVI and DEM analysis for watershed management and drought prediction. Geospatial data mining, hotspot analysis techniques for watershed and land use management in India and Australian environments. Appointed Adjunct Faculty in Computer Science Department, University of Mumbai, 2012 to present. Appointed PhD Guide in Computer Science Department, University of Mumbai India. July to present. Visiting Professorship at CSRE, IIT Bombay. PhD, The University of Queensland. Digital methods for decision making when using semi-autonomous machinery in Australian agriculture, Department of Primary Industries and Regional Development, Scholarships to support Industry Engagement PhD projects, 2018 - 2023, $17,500. Impact of Extreme Climate Conditions on Social Well-Being in Agricultural Sector , Chiang Mai University, Khon Kae University Grant, 2018 - 2019, $2,570. Drought assessment and forecasting using data mining techniques in Northern Thailand, Chiang Mai University, Young Research Grant, 2018 - 2019, $857. Evaluate methodologies for eAgriculture in Western Australia, Moora Milling Pasture Improvement Group, Grant, 2011 - 2014, $115,094. Utilisation of leading edge ICT to enhance Australian and Indian ground water and land resources under climate change scenarios, The Department of Industry, Innovation, Climate Change, Science, Research and Tertiary Education , Australia-India Strategic Research Fund, 2012 - 2013, $40,020. Wireless Mesh Network for Grain Food Laboratory, Nortel Networks, Grant, 2009 - 2012, $24,460. Evaluate Methodologies for eAgriculture in Western Australia, Department of Primary Industries and Regional Development, Grant, 2009 - 2010, $109,757. An investigation into the incorporation of leading edge mobile technologies in the recreational and adventure tourism industries , CRC Centre for Sustainable Tourism, Grant, 2006 - 2007, $20,000. Leading edge developments in tourism ICT and related underlying technologies, CRC Centre for Sustainable Tourism, Grant, 2004, $17,000. Babatunde, O., Armstrong, L., Diepeveen, DD., Leng, J., (2015), A survey of computer-based vision systems for automatic identification of plant species. Agrarinformatika Folyoirat (Journal of Agricultural Informatics), 6(1), 61-71, Hungary, Hungarian Association of Agricultural Informatics (HAAI), DOI: 10.17700/jai.2015.6.1.152. Babatunde, O., Armstrong, L., Leng, J., Diepeveen, DA., (2015), A neuronal classification system for plant leaves using genetic image segmentation. British Journal of Mathematics & Computer Science, 9(3), 261-278, Haryana, India, Sciencedomain International, DOI: 10.9734/BJMCS/2015/14611. Babatunde, O., Armstrong, L., Leng, J., Diepeeen, DA., (2015), Comparative analysis of genetic algorithm and particle swam optimization: An application in precision agriculture. Asian Journal of Computer and Information Systems, 3(1), 1-12. Babatunde, O., Armstrong, L., Leng, J., Diepeveen, DA., (2015), A computer-based vision systems for automatic identification of plant species using kNN and genetic PCA. Agrarinformatika Folyoirat (Journal of Agricultural Informatics), 62(2), 32-44, Hungary, Hungarian Association of Agricultural Informatics, DOI: 10.17700/jai.2015.6.2.164. Thavorntam, W., Tantemsapya, N., Armstrong, L., (2015), A combination of meteorological and satellite-based drought indices in a better drought assessment and forecasting in Northeast Thailand. Natural Hazards, 77(3), 1453-1474, Dordrecht, Netherlands, Kluwer Academic Publishers, DOI: 10.1007/s11069-014-1501-0. Babatunde, O., Armstrong, L., Leng, J., Diepeveen, D., (2014), Zernike Moments and Genetic Algorithm : Tutorial and Application. British Journal of Mathematics and Computer Science, 4(15), 2217-2236 , DOI: 10.9734/BJMCS/2014/10931. Babatunde, O., Armstrong, L., Leng, J., Diepeveen, D., (2014), A Genetic Algorithm-Based Feature Selection. International Journal of Electronics Communication and Computer Engineering, 5(4), 899-905. Gandhi, N., Wankhede, SS., Armstrong, L., (2014), Applications of Expert System in Agriculture. International Journal of Pure and Applied Research in Engineering and Technology, 3(1), 86-94, Ahmedabad-India, Editorial Board of International Journal of Pure and Applied Research in Engineering and Technology. Babatunde, O., Armstrong, L., Leng, J., Diepeveen, D., (2014), On the Application of Genetic Probabilistic Neural Networks and Cellular Neural Networks in Precision Agriculture. Asian Journal of Computer and Information Systems, 2(4), 90-101. Kanojia, M., Gandhi, N., Armstrong, L., Suthar, C., (2018), Fingerprint based gender identification using digital image processing and artificial neural network. Intelligent Systems Design and Applications: 17th International Conference on Intelligent Systems Design and Applications (ISDA 2017), AISC 736(December 14-16, 2017), 1018-1027, Cham, Switzerland, Springer, DOI: 10.1007/978-3-319-76348-4_98. Chatuphale, PA., Armstrong, L., (2018), Indian Mobile Agricultural Services Using Big Data and Internet of Things (IoT). Intelligent Systems Design and Applications: 17th International Conference on Intelligent Systems Design and Applications (ISDA 2017), 1(December 14-16, 2017), 1028-1037, Cham, Switzerland, Springer , DOI: 10.1007/978-3-319-76348-4. Kanojia, M., Gandhi, N., Armstrong, L., Pednekar, P., (2018), Automatic identification of malaria using image processing and artificial neural network. Intelligent Systems Design and Applications: 17th International Conference on Intelligent Systems Design and Applications (ISDA 2017), AISC 736(December 14-16, 2017), 846–857, Springer, Cham, Switzerland, Springer , DOI: 10.1007/978-3-319-76348-4_81. Wankhede, SS., Armstrong, L., (2018), Characterising the Impact of Drought on Jowar (Sorghum spp) Crop Yield Using Bayesian Networks. Intelligent Systems Design and Applications: 17th International Conference on Intelligent Systems Design and Applications (ISDA 2017), AISC 736(14-16 December, 2017), 979-987, Cham, Switzerland, Springer Verlag, DOI: 10.1007/978-3-319-76348-4_94. Gandhi, N., Armstrong, L., Nandawadekar, M ., (2017), Application of data mining techniques for predicting rice crop yield in semi-Arid Climate Zone of India. Proceedings of 2017 IEEE Conference on Technological Innovations in ICT for Agriculture and Rural Development (TIAR 2017), 116-120, Piscataway, N.J., IEEE. Wankhede, S., Armstrong, L., Gandhi, N., (2017), Characterising the Influence of Drought on Jowar Crop Production in India Using Association Rule Mining. Proceedings of 2017 IEEE Conference on Technological Innovations in ICT for Agriculture and Rural Development (TIAR 2017), 57-63, Piscataway, N.J., IEEE, DOI: 10.1109/TIAR.2017.8273686. Sazzad, T., Armstrong, L., Tripathy, A., (2017), An automated ovarian tissue detection approach using type P63 non-counter stained images to minimize pathology experts observation variability. 2016 IEEE EMBS Conference on Biomedical Engineering and Sciences (IECBES), 155-159, online only, Institute of Electrical and Electronics Engineers, Inc., DOI: 10.1109/IECBES.2016.7843434. Gandhi, N., Armstrong, L., Petkar, O., Tripathy, A., (2016), Rice Crop Yield Prediction in India using Support Vector Machines. Proceedings of The 13th International Joint Conference on Computer Science and Software Engineering (JCSSE), 1(13-15 Jul, 2016), 111-115, online only, Institute of Electrical and Electronics Engineers, Inc., DOI: 10.1109/JCSSE.2016.7748856. Sazzad, T., Armstrong, L., Tripathy, A., (2016), A Comprehensive Analysis: Automated Ovarian Tissue Detection Using Type P63 Pathology Color Images. Machine Learning and Data Mining in Pattern Recognition, 1(16-21 Jul, 2016), 714-727, Cham, Switzerland, Springer International Publishing, DOI: 10.1007/978-3-319-41920-6_54. Sazzad, T., Armstrong, L., Tripathy, A., (2016), A Comprehensive Analysis and Review: Automated Ovarian Tissue Detection Using Type P63 Pathology Color Images. Proceedings of The 13th International Joint Conference on Computer Science and Software Engineering (JCSSE),, 116-121, online only, Institute of Electrical and Electronics Engineers, Inc., DOI: 10.1109/JCSSE.2016.7748857. Sazzad, T., Armstrong, L., Tripathy, A., (2016), Type P63 Non-Counter Stained Digitized Color Images Performs Better Identification than Other Stains for Ovarian Tissue Analysis. Proceedings 2016 20th International Conference Information Visualisation IV 2016, 361 – 366 , Piscataway, USA, Institute of Electrical and Electronics Engineers, Inc., DOI: 10.1109/IV.2016.49. Gandhi, N., Armstrong, L., (2016), Assessing impact of seasonal rainfall on rice crop yield of Rajasthan, India using Association Rule Mining. Proceedings of the 2016 International Conference on Advances in Computing, Communications and Informatics, 1021-1024 , Piscataway, USA, Institute of Electrical and Electronics Engineers, Inc., DOI: 10.1109/ICACCI.2016.7732178. Gandhi, N., Armstrong, L., Petkar, O., (2016), Predicting Rice Crop Yield using Bayesian Networks. Proceedings of the 2016 International Conference on Advances in Computing, Communications and Informatics, 1(21-24 Sep, 2016), 795-799 , Piscataway, USA, Institute of Electrical and Electronics Engineers, Inc., DOI: 10.1109/ICACCI.2016.7732143. Gandhi, N., Armstrong, L., (2016), Rice crop yield forecasting of Tropical Wet and Dry climatic zone of India using data mining techniques. 2016 IEEE International Conference on Advances in Computer Applications, 357-363, Piscataway, USA, Institute of Electrical and Electronics Engineers, Inc., DOI: 10.1109/ICACA.2016.7887981. Gandhi, N., Armstrong, L., (2016), A review of the application of data mining techniques for decision making in agriculture. Proceedings of IEEE 2nd International Conference on Contemporary Computing and Informatics, 1(14-17 Dec, 2016), 1-6, Piscataway, USA, Institute of Electrical and Electronics Engineers, Inc., DOI: 10.1109/IC3I.2016.7917925. Gandhi, N., Armstrong, L., (2016), Applying data mining techniques to predict yield of rice in Humid Subtropical Climatic Zone of India. Proceedings of the 10th INDIACom-2016, 3rd 2016 IEEE International Conference on Computing for Sustainable Global Development, 1(16-18 Mar, 2016), 1901-1906 , New Delhi, India, Institute of Electrical and Electronics Engineers, Inc..
Armstrong, L., Nallan, S., (2016), Agricultural decision support framework for visualisation and prediction of Western Australian crop production. Proceedings of the 10th INDIACom-2016, 3rd 2016 IEEE International Conference on Computing for Sustainable Global Development, 1(16-18 Mar, 2016), 1907-1912 , New Delhi, India , Institute of Electrical and Electronics Engineers, Inc..
Taechatanasat, P., Armstrong, L., Nilsook , P., (2016), Designing a Multilanguage Blended Learning System for Thai agricultural Science Students. Proceedings of the 2016 IEEE International Conference on Teaching, Assessment, and Learning for Engineering (TALE), 131 - 138, Red Hook, USA, Institute of Electrical and Electronics Engineers Inc., DOI: 10.1109/TALE.2016.7851783. Sazzad, T., Armstrong, L., Tripathy, A., (2016), P63 Digitized Color Images Performs Better Identification for Ovarian Reproductive Tissue Analysis. Proceedings of IEEE Second International Image Processing, Applications and Systems Conference, 6p., online only, Institute of Electrical and Electronics Engineers, Inc..
Sazzad, T., Armstrong, L., Tripathy, A., (2016), A Comparative Study of Computerized Approaches for Type P63 Ovarian Tissues Using Histopathology Digitized Color Images. Proceedings of the International Conferences on Interfaces and Human Computer Interaction 2016, Game and Entertainment Technologies 2016 and Computer Graphics, Visualization, Computer Vision and Image Processing 2016, 187-194, International Association for Development of the Information Society. Gandhi, N., Petkar, O., Armstrong, L., (2016), Rice Crop Yield Prediction using Artificial Neural Networks. Proceedings of International Conference on 2016 IEEE Technological Innovations in ICT for Agriculture and Rural Development (TIAR), 105-110, Piscataway, USA, Institute of Electrical and Electronics Engineers, Inc., DOI: 10.1109/TIAR.2016.7801222. Gandhi, N., Armstrong, L., Petkar, O., (2016), Proposed Decision Support System (DSS) for Indian Rice Crop Yield Prediction. Proceedings of International Conference on 2016 IEEE Technological Innovations in ICT for Agriculture and Rural Development (TIAR), 13-18, Piscataway, USA, Institute of Electrical and Electronics Engineers, Inc., DOI: 10.1109/TIAR.2016.7801205. Sazzad, T., Armstrong, L., Tripathy, A., (2016), Type P63 Digitized Color Images Performs Better Identification than Other Stains for Ovarian Tissue Analysis. Articulated Motion and Deformable Objects: 9th International Conference, AMDO 2016. Lecture Notes in Computer Science, 9756(13-15 Jul, 2016), 44-54, Cham, Switzerland, Springer International Publishing, DOI: 10.1007/978-3-319-41778-3_5. Sazzad, T., Armstrong, L., Tripathy, A., (2016), An Automated Approach to Detect Human Ovarian Tissues Using Type P63 Counter Stained Histopathology Digitized Color Images. Proceedings of 2016 IEEE-EMBS International Conference on Biomedical and Health Informatics (BHI), 25 - 28, Piscataway, USA, Institute of Electrical and Electronics Engineers, Inc., DOI: 10.1109/BHI.2016.7455826. Sazzad, T., Armstrong, L., Tripathy, A., (2015), An Automated Detection Process to Detect Ovarian Tissues Using Type P63 Digitized Color Images. ICTAI 2015 27th International Conference onTools with Artificial Intelligence, 278 - 285, Piscataway, N.J., IEEE, DOI: 10.1109/ICTAI.2015.51. Nallan, S., Armstrong, L., Tripathy, A., Teluguntla, P., (2015), Hot Spot Analysis Using NDVI Data For Impact Assessment Of Watershed Development. Proceedings of The International Conference On Technologies For Sustainable Development (ICTSD-2015), 1-5, Piscataway, N.J., IEEE, DOI: 10.1109/ICTSD.2015.7095869. Shah, P., Gandhi, N., Armstrong, L., (2014), Mobile Applications for Indian Agriculture Sector: A case study. Proceedings of the 9th Conference of the Asian Federation for Information Technology in Agriculture, 424 - 434, Perth, W.A., Australian Society of Information and Communication Technologies in Agriculture. Gandhi, N., Armstrong, L., (2014), ICTs for Agricultural Extension: A study in Ratnagiri district of Maharashtra, India. Proceedings of the 9th Conference of the Asian Federation for Information Technology in Agriculture, 152-162, Perth, W.A. , Australian Society of Information and Communication Technologies in Agriculture. Saxena, L., Armstrong, L., (2014), A survey of image processing techniques for agriculture. Proceedings of the 9th Conference of the Asian Federation for Information Technology in Agriculture, 401-413, Perth, W.A., Australian Society of Information and Communication Technologies in Agriculture. Leng, J., Neuhaus, A., Armstrong, L., (2014), A network that really works – the application of artificial neural networks to improve yield predictions and nitrogen management in Western Australia. Proceedings of the 9th Conference of the Asian Federation for Information Technology in Agriculture, 298-306, Perth, W.A., Australian Society of Information and Communication Technologies in Agriculture. Nallan, S., Armstrong, L., Croke, B., Tripathy, A., (2014), Geospatial data pre-processing on watershed datasets: A GIS approach. Proceedings of the 9th Conference of the Asian Federation for Information Technology in Agriculture, 328-336, Perth, W.A., Australian Society of Information and Communication Technologies in Agriculture. Neuhaus, A., Armstrong, L., Leng, J., Diepeveen, D., Anderson, G., (2014), Integrating soil and plant tissue tests and using an artificial intelligence method for data modelling is likely to improve decisions for in-season nitrogen management. 2014 Crop Updates, 1-7, Grain Industry Assoc. of WA. Nilsook, P., Armstrong, L., Taechatanasat, P., Ranjeet, T., (2014), Web-based training in e-Agriculture for Agricultural College. Proceedings of the 9th Conference of the Asian Federation for Information Technology in Agriculture, 360-370, Perth, W.A., Australian Society of Information and Communication Technologies in Agriculture. Babatunde, O., Armstrong, L., Leng, J., Diepeveen, D., (2014), Application of Cellular Neural Networks and Naive Bayes Classifier in Agriculture. Proceedings of the 9th Conference of the Asian Federation for Information Technology in Agriculture, 63-72, Perth, W.A., Australian Society of Information and C.
Wankhede, SS., Gandhi, N., Armstrong, L., (2014), Role of ICTs in improving drought scenario management in India. Proceedings of the 9th Conference of the Asian Federation for Information Technology in Agriculture, 521-530, Perth, W.A., Australian Society of Information and Communication Technologies in Agriculture. Ranjeet, T., Armstrong, L., (2014), An Artificial Neural Network for Predicting Crops Yield in Nepal. Proceedings of the 9th Conference of the Asian Federation for Information Technology in Agriculture, 371-381, Perth, W.A., Australian Society of Information and Communication Technologies in Agriculture. Taechatanasat, P., Armstrong, L., (2014), Decision Support System Data for Farmer Decision Making. Proceedings of the 9th Conference of the Asian Federation for Information Technology in Agriculture, 472-486, Perth, W.A., Australian Society of Information and Communication Technologies in Agriculture. Master of Science (Computer Science), FINE-GRAINED ACCESS CONTROL OF ODF DOCUMENTS USING XACML.